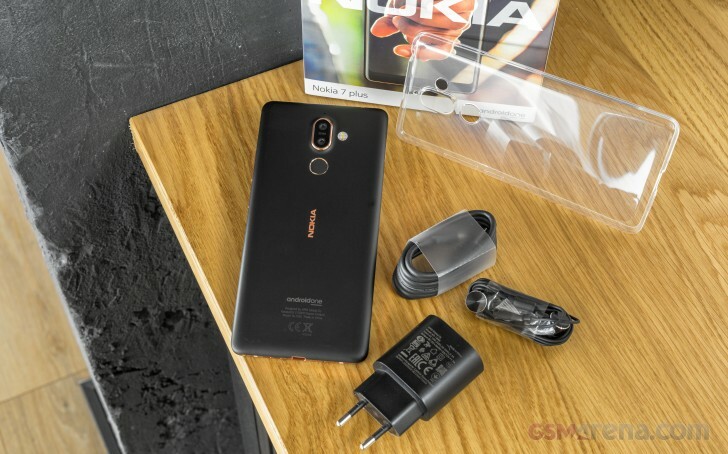 Running out of single-digit numbers in its ever-growing portfolio, the reborn Nokia has started adding words - the high-end Nokia 8 Sirocco is worthy of an iconic moniker from the past, while simpler phones only get a 'plus', with a lowercase 'p' at that! But the Nokia 7 plus isn't looking half-bad - capital 'P' material at least. The Snapdragon 660 is certainly as powerful a chip as you can get in the midrange and a dual camera with a telephoto secondary shooter reads like a line from a high-end phone's specsheet - in fact, it's the Sirocco's hardware. The 18:9 display is in keeping with the trends and 1080p is perfectly alright for a 6-incher in this segment. The 3,800mAh battery is more than generous and the bundled 18W quick charger is great for quick top-ups. 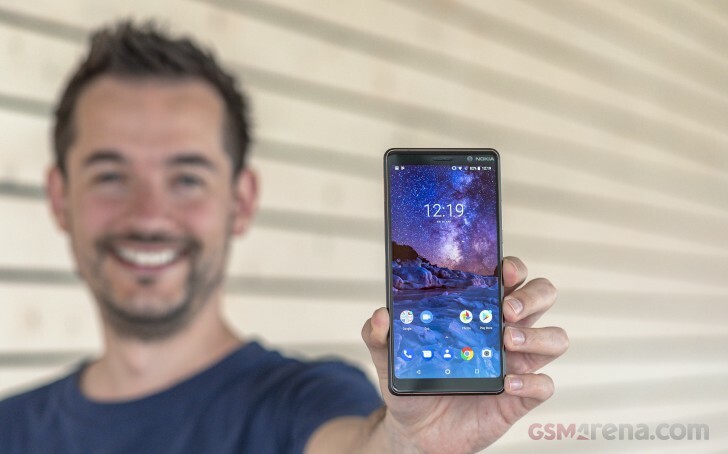 Sure to entice Android purists, the Nokia 7 plus is an Android One device. Ours is running 8.1 Oreo with an April 1 security patch - that's Pixel-level up-to-date. You know what would have been great? If, like that Pixel 2 XL, the Nokia 7 plus had stereo speakers. Well, unfortunately it doesn't. Its otherwise superbly built body also lacks waterproofing, but we do have a layman's grasp of how market segmentation works so we'll let that slide. There's a brand recognition aspect to retail packaging and the 7 plus' box is very much Nokia. Looks aside, this year's boxes come with a slide-out tray that goes out the bottom, so make sure you're in control of things after removing the seal. The phone will greet you from the right and under it we found a clear plastic bumper case - not the fanciest around, but good to have from the get-go. What's not so clear (dumb pun 1) is whether that will be the case (dumb pun 2) in all markets. There's an 18W quick charger with a Type-A port and a USB cable to go with it. Type-C chargers haven't exactly taken off - the Pixel stands out in this respect. In this context, the Type-A solution is still a lot more versatile. A pair of earbuds is included as well - a reasonably stylish one, too.